MK Lawyers – Attorneys at Law L.L.P. We are experienced trial lawyers dedicated to protecting the rights of our clients across the great State of Texas. If you have been injured by another party through no fault of your own, you may have a right to recover for your losses, including medical bills, lost wages and pain and suffering from the other party, even if you have insurance. Whether you are facing charges for a first time DUI, a drug offense, for a violent crime such as murder, or for a white collar crime, we will carefully investigate the facts of your case, search for any violations of your rights and any mitigating evidence that could be used to your advantage. We handle a wide range of civil matters across the State of Texas. We welcome the opportunity to visit with you about your case and give you an assessment of what we can do to help you. If you are going through a divorce or custody battle, we closely consider your circumstances to ensure we reach an outcome you are happy with. 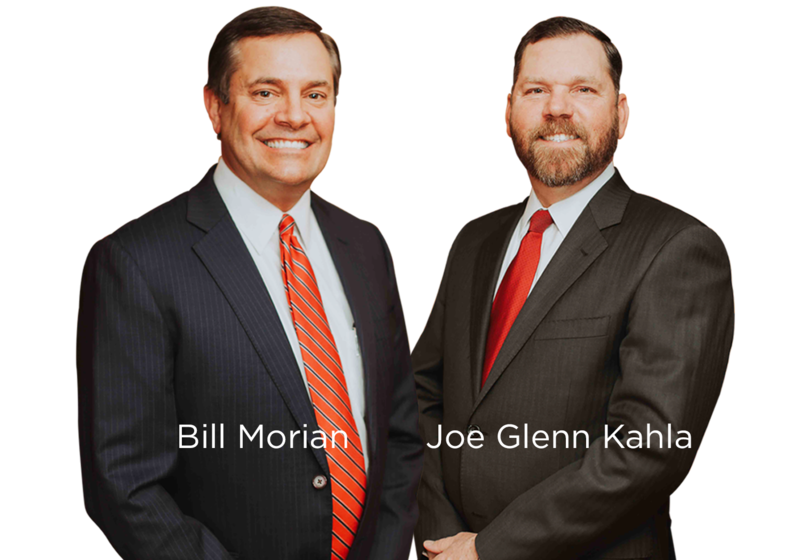 Our attorneys Bill Morian, and Joe Glenn Kahla have over 40 years of combined experience in trial law. We are here to provide our clients with only the best legal services no matter the job. Ready to get in touch and get your legal matters resolved.